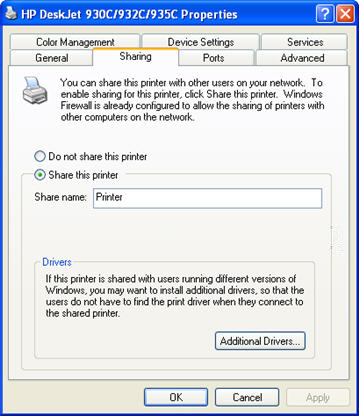 File and Printer Sharing must be enabled on the PC where the printer is connected. 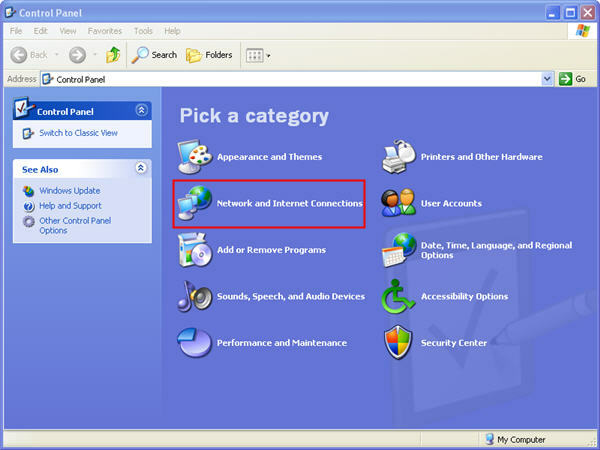 Go to the Control Panel (Start, Control Panel) and then click on Network Connections. 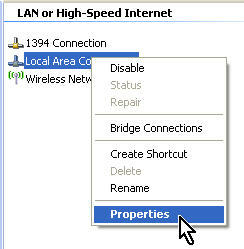 Right click on your network connection and select Properties. 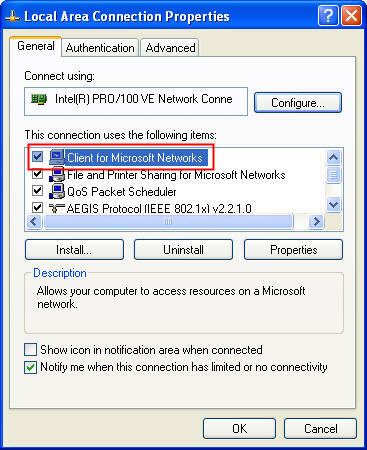 Make sure there is a checkmark next to File and Printer Sharing for Microsoft Networks. If you do not see this as an option, you may have to install this Windows component. First click on Install, then select Service, and check File and Printer Sharing for Microsoft Networks. You may need to insert your Windows XP CD to install this component. Right click on the printer to be shared and select Sharing…(or select Properties and then switch to the Sharing tab). You can assign a name for your shared printer. This is the name that will visible when you browse the network from the computers where you want to access this printer. Once you have shared the printer on the host PC, you can use the Add Printer Wizard on the other machines to add drivers for it. The process is very similar to adding a local printer, but you will select A Network printer or printer attached to another computer when you come to the Local or Network Printer screen.